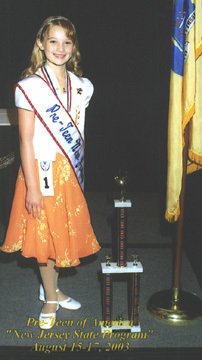 Tiffany Amariuta, the nine-year-old daughter of Dr. and Mrs. Ion Amariuta from Hasbruck Heights, won the prestigious 2003 Pre-Teen New Jersey Junior Division Title. Tiffany will hold this title for a full year. As the Titleholder, Tiffany has the honor of representing the State of New Jersey throughout the year and compete next year for the title of "2004 Pre-Teen America". The competition was heavily an academic contest and not a beauty pageant. In addition to her academic achievements and on premises tests and interviews, Tiffany was judged on school honors received, volunteer service, musical talent and the ability to speak and answer questions in front of a large audience. In addition to winning the top title, Tiffany has received her Title Sash, a medal, her official Title Jacket, four trophies, a savings bond as well as funds for her travel to other states as a representative of the State of New Jersey. 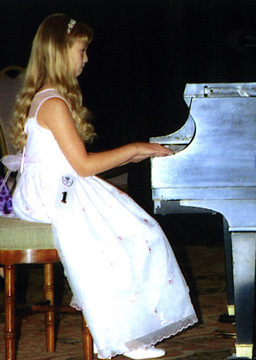 The 2003 Pre-Teen New Jersey Scholarship and Recognition Program was held August 15-17, 2003 at the Parsippany Hilton in Parsippany, NJ. Over 800 pre-teens from New Jersey applied, but only 92 were chosen as state finalists to compete for the junior (7-9 year olds) and senior (10-12 year olds) division title. 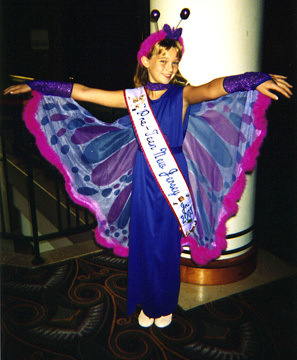 They competed for over $5,000 in educational bonds, prizes, and awards, as well as the opportunity to qualify for competing in the 2004 Pre-Teen America Nationals to be held July 2004 in beautiful Baton Rouge, Louisiana, offering over $25,000 in awards. Tiffany Amariuta, a 5th grade student at Lincoln School in Hasbrouck Heights, has also received the prestigious Academic Achievement Award, that is given to only one contestant for the highest academic scores among all participants regardless of age. 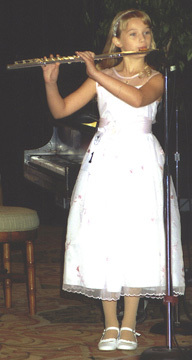 As part of the optional Talent Competition, Tiffany performed on the piano and flute and received the Junior Division 1st Runner-up Talent Award. Pre-Teen America is a by-invitation only Scholarship and Recognition event involving young ladies 7 to 12 years of age. The Pre-Teen America program is designed to recognize the nation's outstanding Pre-Teens, as well as to provide an avenue to promote high moral standards of excellence, fellowship, family values, and social development.